Roberto Sanchez, pictured on the cover of his 1969 album "Sandro de America." Buenos Aires, Argentina (CNN) -- Roberto Sanchez, the Argentine singer known as "Sandro" and who drew comparisons to Elvis Presley, died Monday night after complications from surgery, his doctor told reporters. He was 64. Sandro's romantic ballads made him a star in the 1960s, but he first found the limelight as rock and roll singer who imitated Elvis' style. 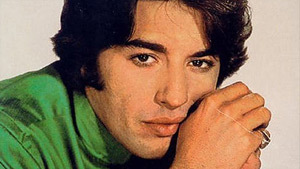 In his long career, Sandro recorded dozens of albums and also acted in 16 movies, according to the Web site Rock.com.ar. He is considered one of the pioneers of the Spanish Rock movement. The singer was also known as "El Gitano," or "the Gypsy," because of his family's Roma roots. Some accounts place Sandro as the first Latino artist to sell out Madison Square Garden in New York. Sandro died at the Italian Hospital in Mendoza, Argentina, where he was being treated for complications from a heart and lung transplant last month. He is survived by his wife, Olga Garaventa.